There isn't a city or county in the nation where dogs don't need help -- where they don't wind up on the street or neglected on chains in backyards, don't get dumped at municipal shelters out of ignorance or mere convenience, don't outlive their owners and find themselves among strangers who don't know what to do with them. It is why animal rescues exist. It is what animates volunteers to take up the cause and advocate for the welfare of companion animals. And it's what drives the diverse organizations who have been awarded Grey Muzzle grants. Some areas of the country, though, face challenges that are particularly tough. The abused and abandoned dogs that Animal Rescue, Inc. (ARI) take in come from the Maryland and South Central Pennsylvania area, including the cities of Baltimore, MD, and York, PA, and their numbers are as large as their stories are heartrending. They are strays who come directly from the streets. They are transfers from the overcrowded municipal shelters where senior dogs face an uncertain future. And they are Lancaster County puppy mill dogs who arrive--exhausted, ill, and emotionally damaged--when their operators are shut down because of inhumane conditions or decide to close because meeting welfare standards cuts into their profit margins. Founded in 1976, ARI offers a home to these dogs, "what we call a 'Sanctuary for Life,'" Lori Bartholomey, grant writer for the organization, explains. "No animal is ever euthanized because it is unwanted or because of the inconvenience of care. Some animals stay with us for a few days until they are adopted. Others remain in our care for many years." Stitch and Shiloh are a bonded pair who were surrendered to an Open Door shelter by their family for unknown reasons a year ago. Animal Rescue, Inc. took them in when the shelter ran out of space. Now 15 and 10, they settled quickly into their new home at The Barn, one of several buildings that house the dogs and cats of ARI. The lamb-like Stitch, a male Miniature Poodle mix, needed a dental, while Shiloh, a female Beagle, was deaf and required both spaying and a dental before she could resume life with her best friend. These medical procedures were performed at The Clinic, ARI's onsite medical facility where three long-time veterinarians provide care on a part-time basis. Shiloh and Stitch are available for adoption together, but if that's not in the cards, they have a future that is safe, secure, and full of love. The puppy mill dogs require more than veterinary care, although they frequently arrive in poor health, as well. "These dogs have spent their entire lives struggling to survive abusive and life-threatening conditions," Bartholomey explains. "Pennsylvania has very harsh weather -- the winters are freezing cold and the summers are unbearably hot. These innocent dogs, most of which are small, are left exposed to the elements in cruel chicken wire cages or warehoused in dark garages and other structures with no climate control." Although the phrase "puppy mill" conjures visions of roly-poly pups, the dogs ARI takes in are typically seniors who have been bred continuously without thought of their health or well-being. "They typically suffer from joint disorders, hip dysplasia, luxating patellas, trachea collapse....and many acquired problems, such as giardia, chronic ear infections, complications from devocalization, and much more," Bartholomey says. These dogs also face life-threatening risk from routine spay surgery. The "repeated and crude C-sections" they are subjected to means they are prone to excessive bleeding during surgery. "C-sections on puppy mill dogs are routinely done due to whelping problems," Bartholomey continues. "These puppy millers breed dogs with disproportionately large heads. Also, some of the dogs end up acquiring behavioral issues and would kill or eat their offspring. Incredibly, many of these C-sections are 'do-it-yourself,' with no veterinarian present." Animal Rescue, Inc.'s surgeons use human mesh panels to secure the surgical site and avoid herniation of the dogs' weak abdominal walls. In one case alone, ARI admitted 29 puppy mill dogs into their Sanctuary for Life, provided them with the veterinary care they needed, patiently and lovingly socialized them, and then placed them into carefully screened homes where they could start new lives. Cecilia, a sweet Bichon, was surrendered to the care of ARI from a puppy mill in Lancaster, PA, in July of last year. Once callously considered mere “breeding stock,” Cecilia was adopted into a family with another delightful Bichon who came from ARI's Sanctuary for Life. Her adjustment was surprisingly easy, according to her new mom, who says that Cecilia loves toys, car rides, snuggling, and her cushy bed. At last, Cecilia is free to be a "typical fun-loving, happy-go-lucky Bichon," as her mom describes her--clearly the star of her own happy ending. This work requires diplomacy, networking, and collaboration, and ARI has forged strong working relationships with the municipal shelters in their area, as well as with independent rescuers who get tips about puppy mill dogs who need saving. Veteran leadership anchors the organization: Grace Froelich founded ARI more than 40 years ago and continues to act as its Volunteer President and Executive Director, while Philip Staelens, Shelter Director, has been with ARI for 30 years. In addition, with more than 200 volunteers, 35 paid employees, and a network of 9 foster homes for special-needs dogs, they have enormous human capital at their disposal--an incredible resource that is at the heart of their success. In 2016 alone, ARI provided care to 236 dogs, 90 of whom where seniors. 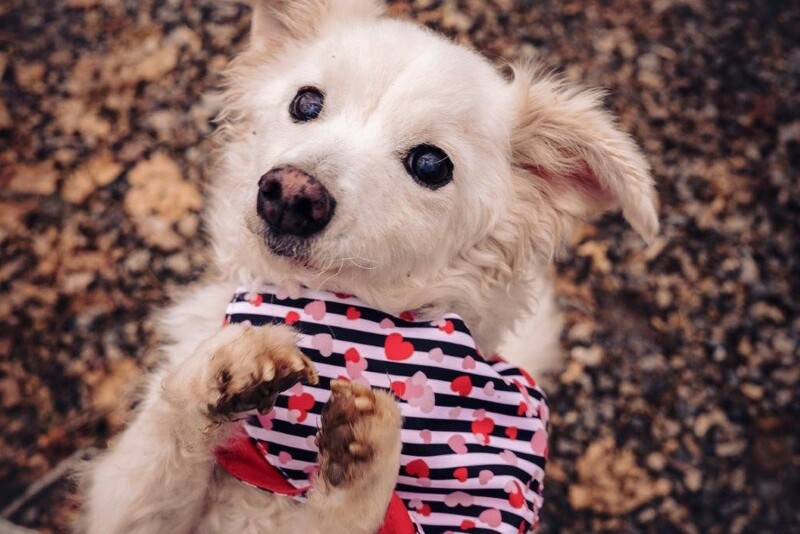 The grant from Grey Muzzle has allowed ARI to save more dogs struggling to survive the horrendous conditions in Pennsylvania puppy mills, rescue more senior strays from the streets of Baltimore and York, and expand their collaboration with Baltimore City and County Animal Controls to take more seniors slated for euthanasia. "Our Sanctuary for Life always runs at full capacity," Bartholomey says. "As soon as animals are adopted, other animals in need arrive to take their places." Animal Rescue, Inc. counters this endless stream of needy dogs with an endless supply of good will, hard work, and compassion, and GMO is proud to support them. About the Author: Connie Corzilius Spasser is a writer and sometime rescue transport driver who lives with her husband Mark and three senior dogs (Joe, Sven, and Ari) in Augusta, Georgia.